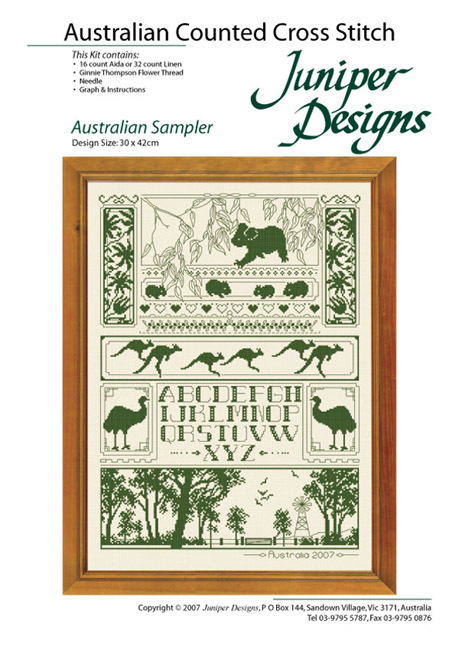 Australian cross stitch designs by Juniper. Design size approx 30cm X 42cm. Kit contains chart, instructions, 16 count aida or 32 count linen fabric, Ginnie Thompson Flower Threads and needle.